When potential students consider LearningFuze coding bootcamp, they often contact admissions with a range of questions about our curriculum, format, and our awesome teaching staff. To help answer some common questions about life at a bootcamp, we sat down with Dan Paschal, Lead Instructor at LearningFuze. In the interview, Dan offer his advice on learning to code, how to choose a coding bootcamp, and how to get the most out of a program in such a short amount of time. Dan came to LearningFuze with several years’ experience as a professional software engineer. A position as the Technical Director at GameDesk gave him the opportunity to mentor young adults in programming, which sparked his interested in teaching. Soon after, Dan came across a unique opportunity: to help build the curriculum for the new LearningFuze bootcamp. As an instructor, Dan helps students learn to code by breaking big concepts into smaller pieces, using analogies to clarify concepts, and by first showing “why” before “how”. 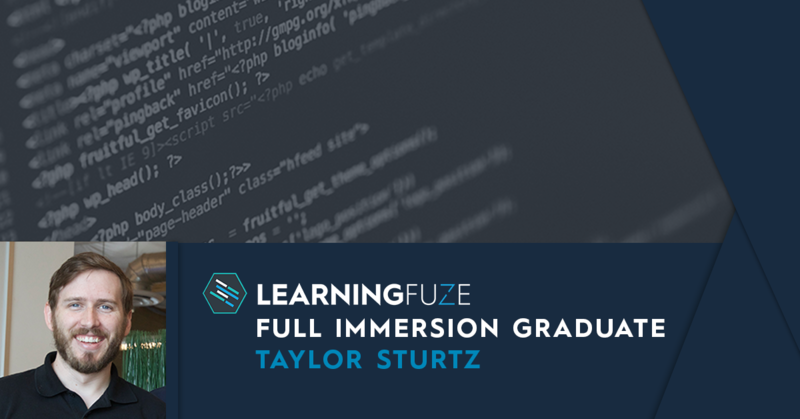 LearningFuze’s TJ Kinion is key in helping students with employment prep after completing our coding bootcamp LearningFuze Alumni Spotlight with Howard Kim. What it takes to land your dream job Taylor Takes The Leap Into Web Development And Lands Ultimate Success Coding Bootcamp: Your LinkedIn profile is more important than you think!